Ever Wonder What Happens To A Facebook Profile When Somebody Dies? A strange way people interact with loved ones after they have passed away is through Facebook. As queer as this may be, millions of left-behind families and friends around the world browse through their demised loved ones’ profiles and reminisce by looking at old photos and share memories or words of grief on their walls. 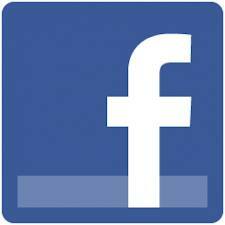 As of 2012, 30 million people who maintained Facebook accounts have died, according to a report by The Huffington Post. Some studies approximate that nearly 3 million users have died in 2012 alone; 580,000 in the U.S. This “Facebook after death” phenomena makes people wonder: What does happen to a Facebook profile a user has passed away? Does it remain there with all the others even if no one can open that account? Should loved ones be able to access a dead user’s profile at all? As of 2009, a family member or close friend may choose to report a death to Facebook. Upon receipt of proof of death, such as a death certificate or local obituary, Facebook will switch the dead user’s timeline to a “memorial page.” Those friends may interact with the memorial page similarly as they would an active profile. They can post condolences and share memories on his or her timeline; they can view pictures and interact with past posts. However, interaction is limited as only “friends” on Facebook can view the account. The page will no longer be available on public search and won’t be able receive any direct messages.